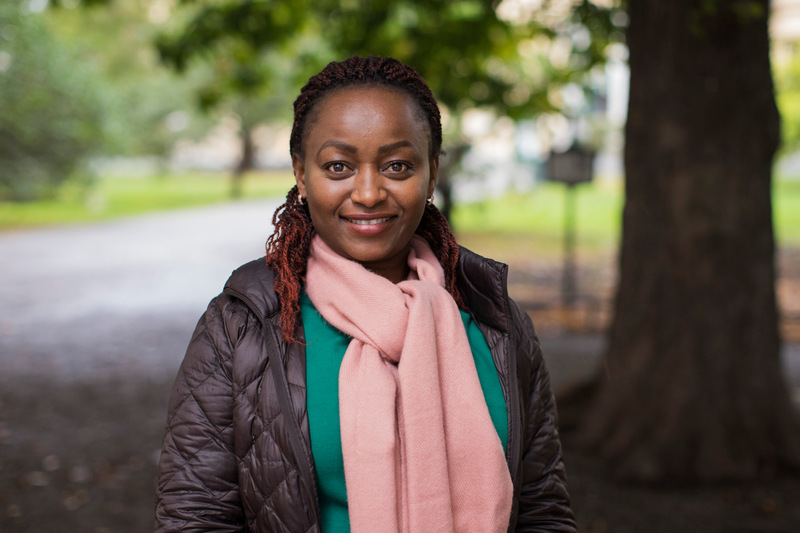 SIMP Africa participant Kathambi Kaaria heads the consulting practice at CREIDE, a Kenyan firm that works in over 25 countries and helps governments, businesses and non-profits address sustainable development challenges. She is also a consultant at the African Development Bank’s Power, Energy, Climate Change & Green Growth Complex, and an opinion writer for the Daily nation. Her mission is to advocate for sustainable development. – For myself, and my company, the vision is to keep building a business that is transformational and a driving force for sustainability in the continent. I’ve been very focused on being a voice for sustainability and climate change in the continent, which is also part of why this programme was interesting for me. I think that as a result of my input, and my thought leadership, I’m moving the needle. Is it as fast as I would like it to be? Maybe not. But I know that when I interact with people and when we consult for our clients, we always come away having impacted them in some way, having given them innovative solutions that they are open to implementing, in part because we place a lot of emphasis on making the business case for the solutions we propose. Has SIMP helped you level up as a change maker? – So far what I really love about the programme is that it’s very well curated. It covers the theory on building sustainable businesses and being a responsible leader, but also -and very importantly- translates all this theory into practice. We have had wonderful lectures from bold leaders who are driving change and global impact within their companies. What I’ve also loved about these two immersive weeks is all the visits to institutions and businesses that are true thriving examples of what sustainable business looks like – that has been a fantastic experience for me. Urban Bee, the Soup kitchen, Kiruna, LKAB … amazing. It’s great to take all this theory and best practice, and apply it to our businesses in the continent, and our work with clients as we help steer them towards more sustainable business models. And of course, being in Sweden – it’s my first long visit. It’s been wonderful. Is there something you will do differently in your work because of what you learned at SIMP? – Besides the knowledge and practical experience from the deep dive into sustainable business, one of the things I’ll take back is more focus on my leadership, and particularly the role of responsible leadership in sustainability. I love that the programme goes beyond subject matter to focus on equipping participants to become truly transformational leaders. We have done so much immersive work on personal development, team development, and how to build formidable businesses as a leader. Right off the bat, next week, that is something that is going to change in the way I lead my organization, and my team. What are your recommendations to anyone thinking of applying to SIMP? – Go ahead and apply without hesitation! It is one the most fantastically curated programmes I have ever been a part of. It is a wholesome focus on you as a leader, as a person, what it means to lead responsibly, and what it means to build global businesses that impact people, planet and profit. Regardless of whichever field you work in, you will come away empowered, enriched and on the path to being a force for the positive change the world desperately needs. Read more about the Swedish Institute Management Programme Africa (SIMP) here.